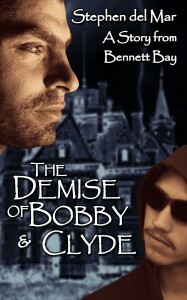 My short ghost story, The Demise of Bobby & Clyde, is free this weekend on Amazon.com. Bobby & Clyde are lovers and bank robbers and they’ve made a few mistakes. First they robbed a bank in the middle of a hurricane and next, they decided to hide out the most thoroughly evil and haunted house in Big Cypress County. Not a happy ending, but there is a lot of ever after. Hope you enjoy it.